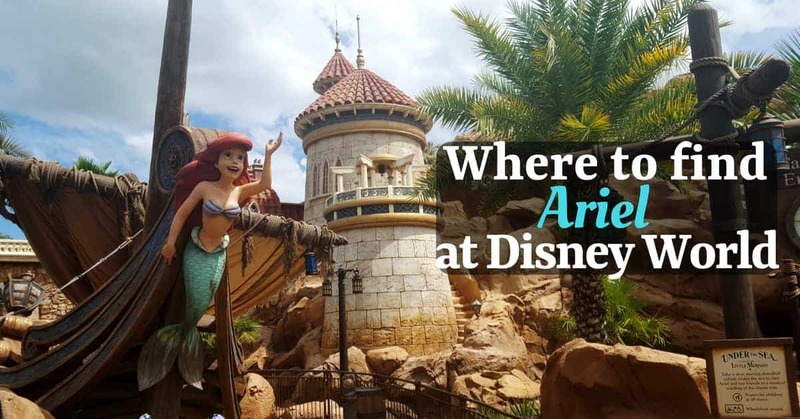 Everyone has a favorite Disney princess and if you favorite is The Little Mermaid, you’ll be glad to find out how you can plan your vacation around Ariel at Disney World! Disney knows how popular her character is and has capitalized on the popularity of the animated classic. Not only can you meet Ariel at Disney World, but you can dress like her, take a trip into her world and see her live in an on-stage musical performance! The main ride that features Ariel is Under the Sea ~ Journey of The Little Mermaid. 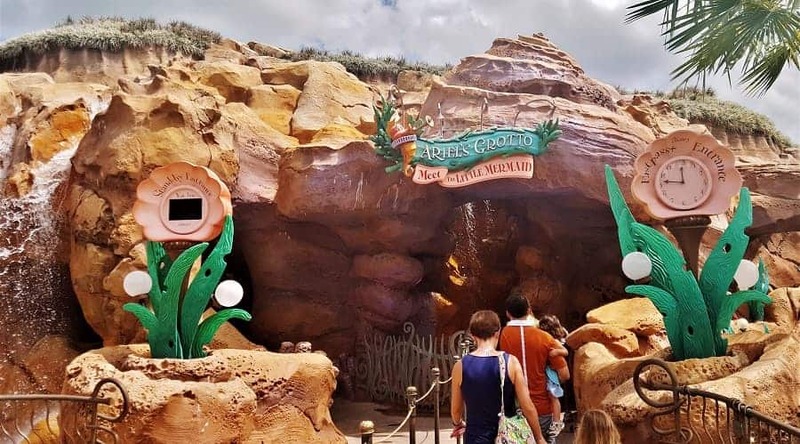 This ride is in the new expansion of Fantasyland and takes you on a journey through the story from the animated classic movie while riding in a clam shell. You will see all your favorite characters from the movie and hear the original songs. The ride is wonderful for all ages and can seat 3 comfortably. FastPass is recommended. Right next to the exit of Journey of the Little Mermaid Ride is the entrance to the Ariel meet & greet location. Here you can have your picture taken with Ariel (in her grotto). FastPass is recommended. 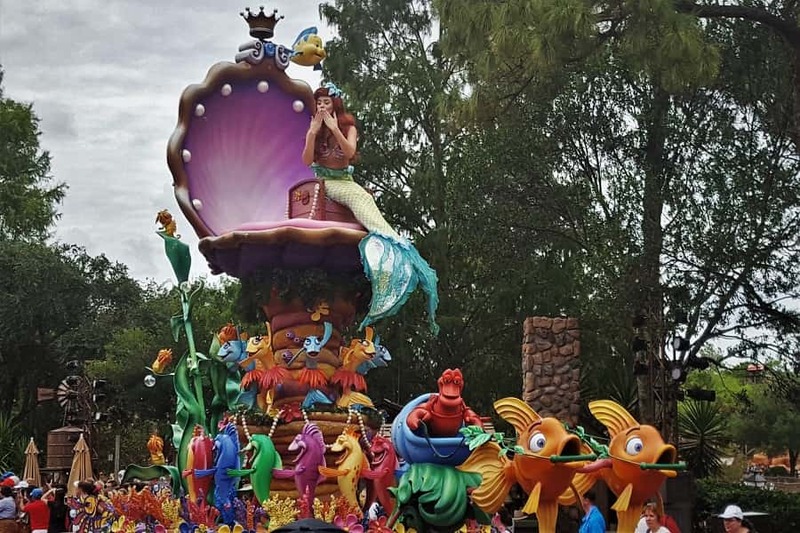 During the Festival of Fantasy parade, Ariel makes an appearance on a float being pulled by a chariot of fish. In Fantasyland, you will see Ariel appear briefly on screen in the 4D Philharmagic singing “Part of Your World.” FastPass is available (but not recommended). You will see a live performance featuring Ariel and her friends during Voyage of The Little Mermaid 17-minute live show at Animation Courtyard. Be prepared for kids to be a little scared during a scene when Ursula makes an appearance. Shows begin every 25-30 minutes. Check the Times Guide at Disney’s Hollywood Studios for the specific show times. FastPass is available (but not recommended). During the Fantasmic! 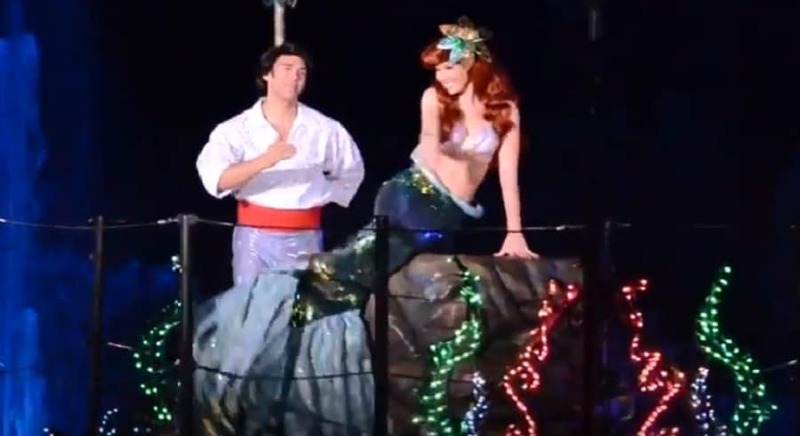 at Hollywood Studios, Ariel and Philip make an appearance during the princess float portion of the show. The only place you will find Ariel in Epcot is at Akershus Royal Banquet Hall. Serving breakfast, lunch and dinner, this buffet features many of the Disney princesses and is a favorite (not so much for the food but for the characters). You will want to make a reservation in advance for Akershus! If you love Ariel, there is really no better place. to stay than at Art of Animation Resort. 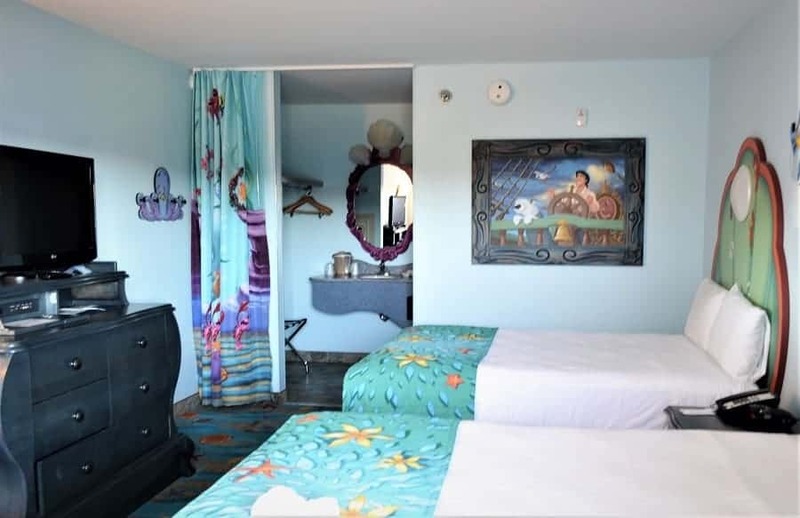 There you will find Little Mermaid Rooms that are designed to make you feel like you are part of her world! Even the exterior decor pays homage to Ariel! 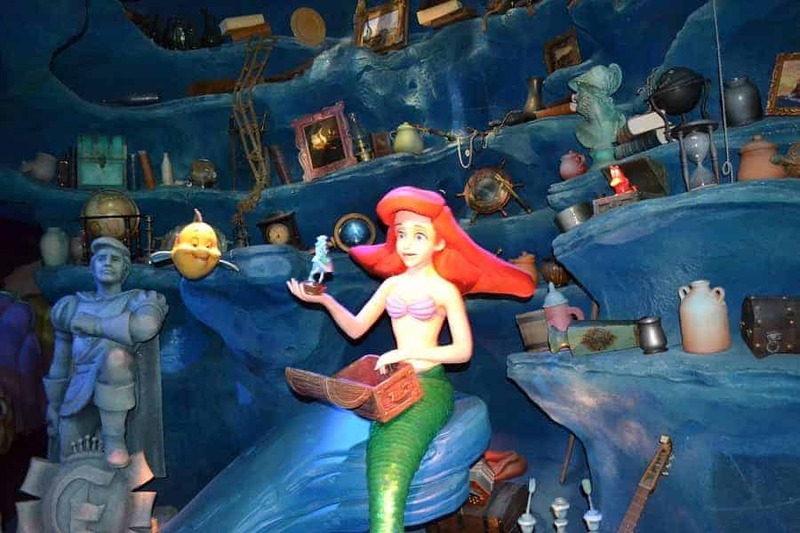 If you are travelling with a child who would like nothing better than to become Ariel at Disney World, be sure to make her an appointment at Bibbidi Bobbidi Boutique. 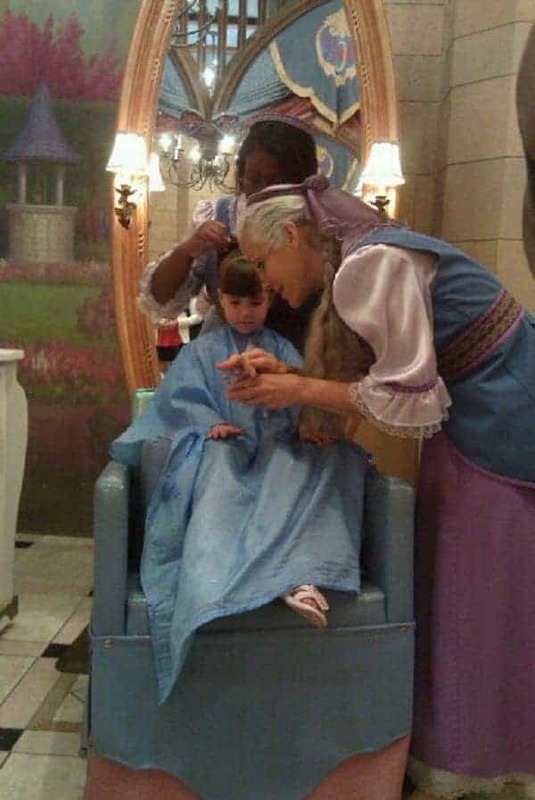 Located in Cinderella Castle and in Disney Springs, your little girl can be turned into a real princess for a price. Purchase The Princess Signature Dress Collection and she can get a real Disney Princess gown featuring intricate design details that tell the story of the Little Mermaid, a high-quality crystal tiara with box, organza garment bag and satin hanger, hairstyling, shimmering make-up and face gem, princess sash and cinch sack, and nail polish. Price starts at $450. Want to take your vacation up another notch? YOU can dress the part of your favorite Mermaid! Ariel is absolutely adorable and Disney has launched a whole new line of merchandise this summer featuring her! Even if you just want to take it full on with a red wig, there are more subtle ways you can incorporate Mermaid items into your look. We hope that you will be able to have the most memorable and magical Disney vacation possible! 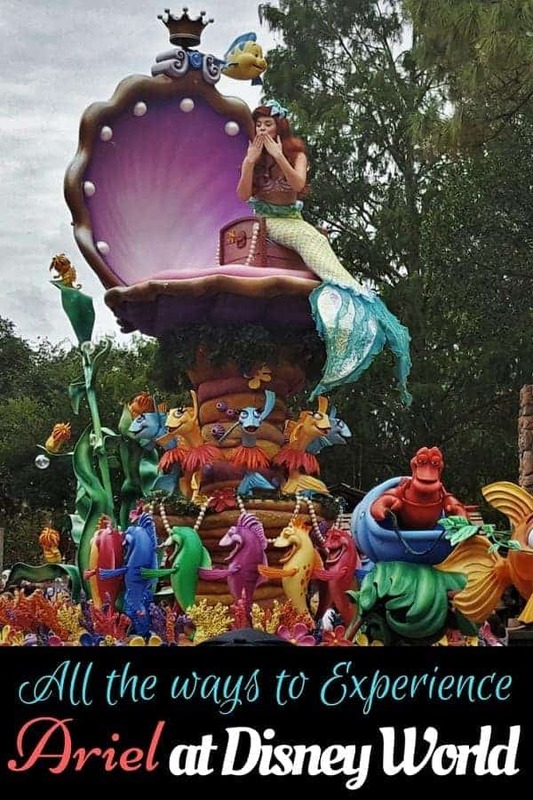 If you have any other tips to add on where to find Ariel at Disney World, or how to incorporate more of this princess into your vacation, please feel free to share with a comment. Thanks so much for being part of this fun collab post!